It’s day six and we had moved to Shanghai. 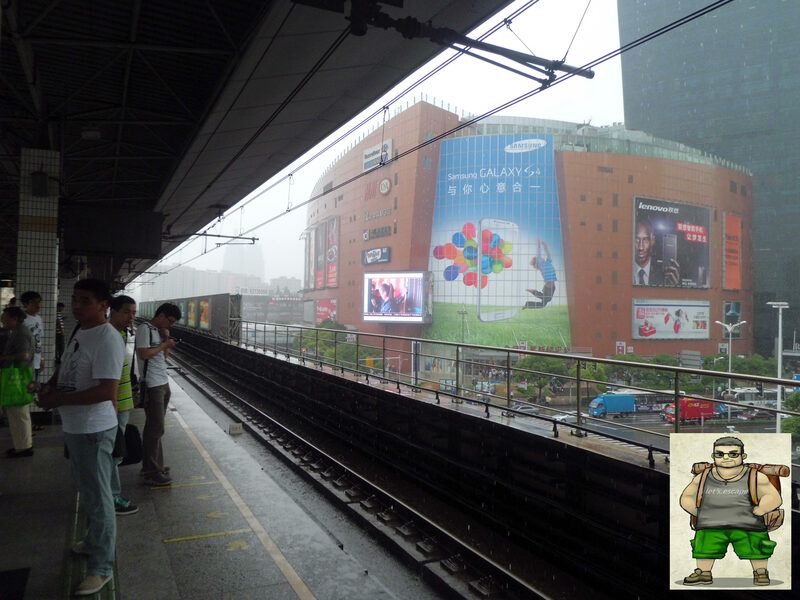 Arrived at Hongqiao Shanghai railway station, we took subway to Cao Yang rd. subway station. Shanghai was raining at that time. 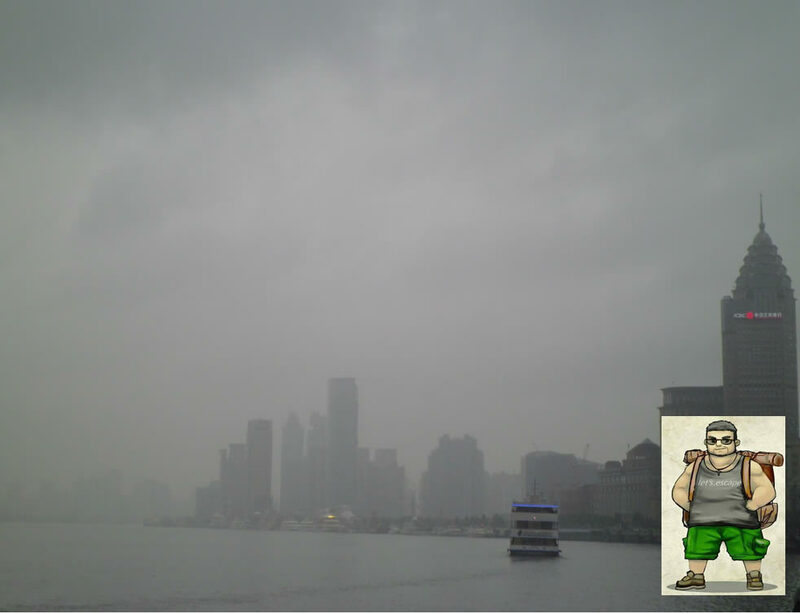 Every time we switched the subway line, we saw how cloudy and smoggy Shanghai’s sky at that moment. The rain kept pouring down like it had no end. After reaching Cao Yang Rd. station, we stood a while at the gate, thinking of way to get to the hostel. We didn’t bring umbrella and my sister considered to buy the umbrella sold by the vendors beside the gate. Ok, it’s been decided that we would buy two umbrellas, 10 CNY for each (considering that we had three days in Shanghai and we didn’t want the rain ruined our vacation). One umbrella for two persons covered us up on our way to the hostel. The hostel wasn’t far from the station. 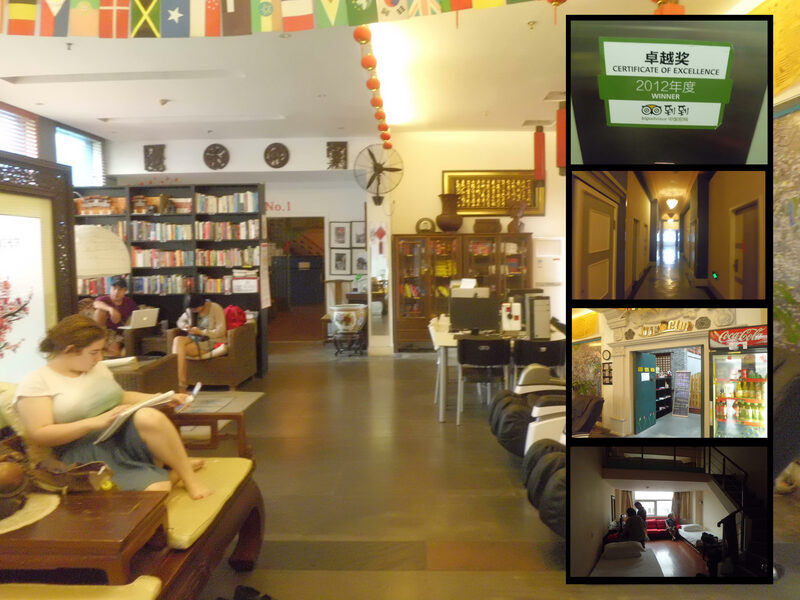 In less than 15 minutes walking, we already arrived at the hostel. We checked in for a while and then take a rest while waiting the rain stopped. It was 3 pm and the rain still poured down. Ok, we started to freak out. It’s impossible if we just spent our first day in the hostel and watch TV. 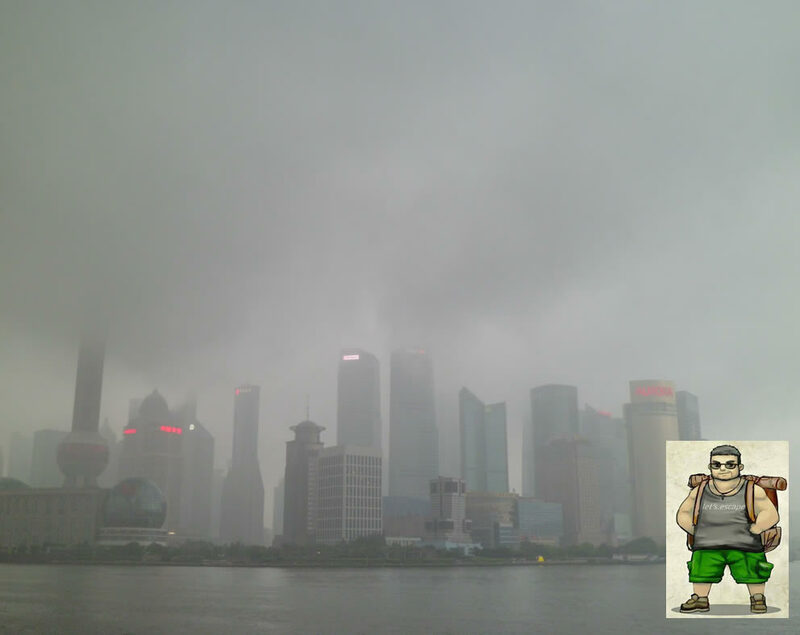 Therefore, I and my sister initiated to keep going to the Bund (Shanghai famous Icon), regadless of the pouring rain. 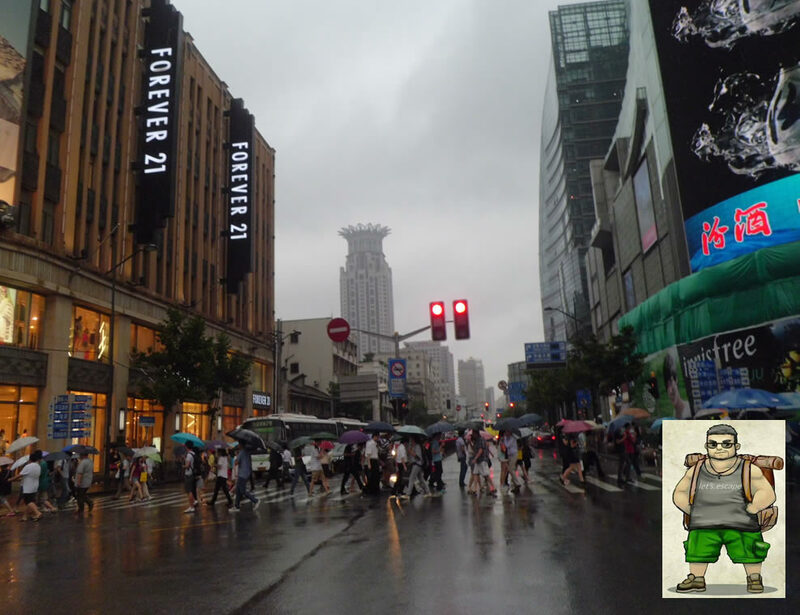 We walked back to subway station and took the train to East Nanjing rd. station. 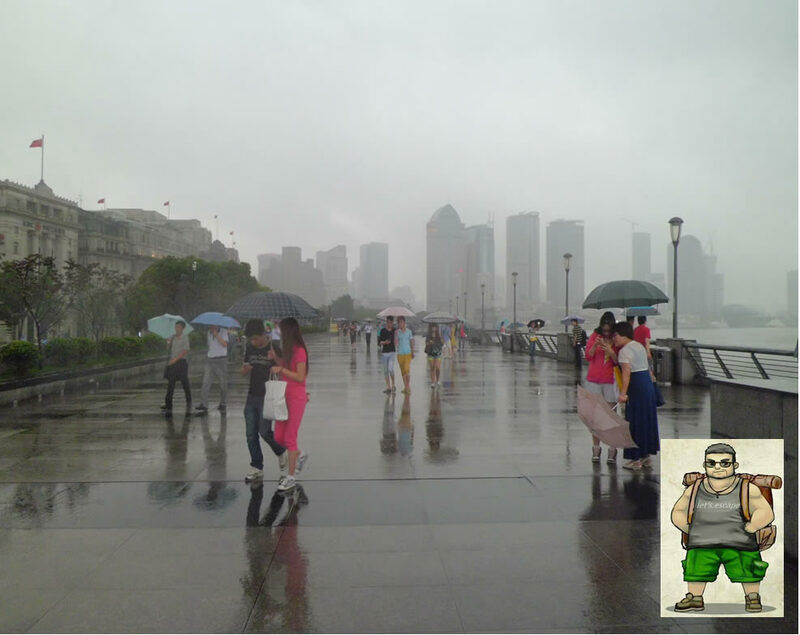 The Bund is a water front area located along the western bank of Huangpu river. Stretching on Zhongshan rd, the Bund does not only present some old european architectural buildings at its road, but also by Oriental Pearl TV tower , Jinmao tower and other high modern buildings view across the river . 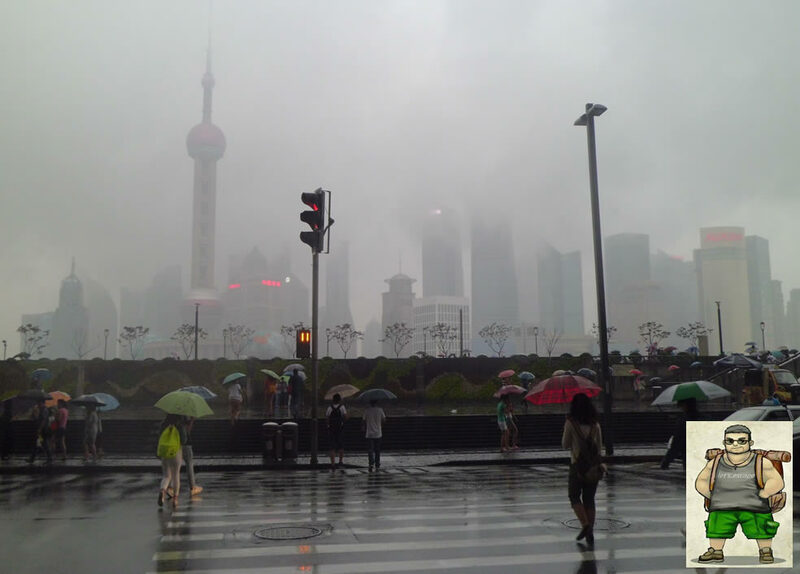 Too bad, when we arrived there, the rainy day made the Bund full of smog. The cloud covered up almost all the peak of every building. The rain was still drizzling and the wind blew freezing. However, some visitors with their umbrellas looked passing the area and keep taking pictures to capture the moment.